Things are quiet on the blog as of late. It is summer and even though I'm being productive, it is hard for me to find dedicated time to sit in front of the computer for long stints with all four boys home. Well, five. Hubby is around a lot too! Which brings us to this quilt. He has been a bit whiny. Frankly, just put out, that he doesn't have a quilt yet just for him. He and my oldest son went to Peru on a mission trip and returned the day before our 18th anniversary. I was determined to do a quilt for him for the day. 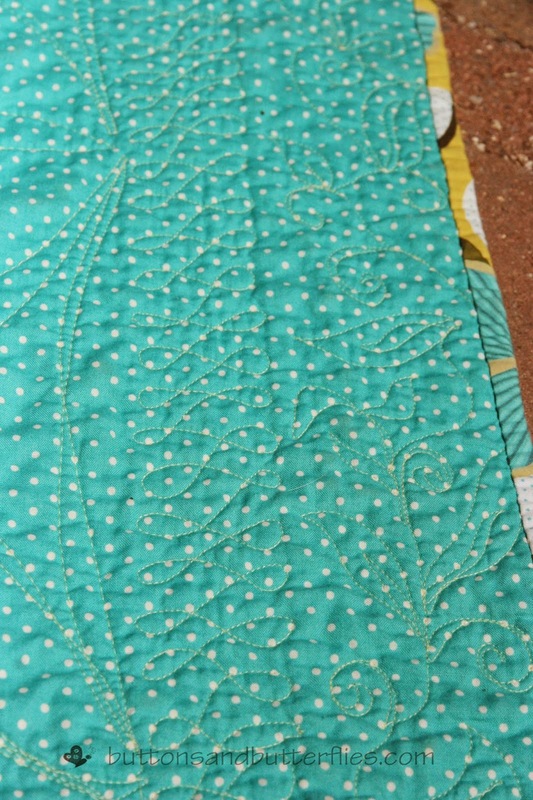 However, I was sure that it would be difficult for me to make the quilt I really wanted to in that time period when I had my hands full with the other three on my own. My solution? A quilt kit. Yes, you heard me right. A quilt kit. It sometimes feel like a shocking thing to do. 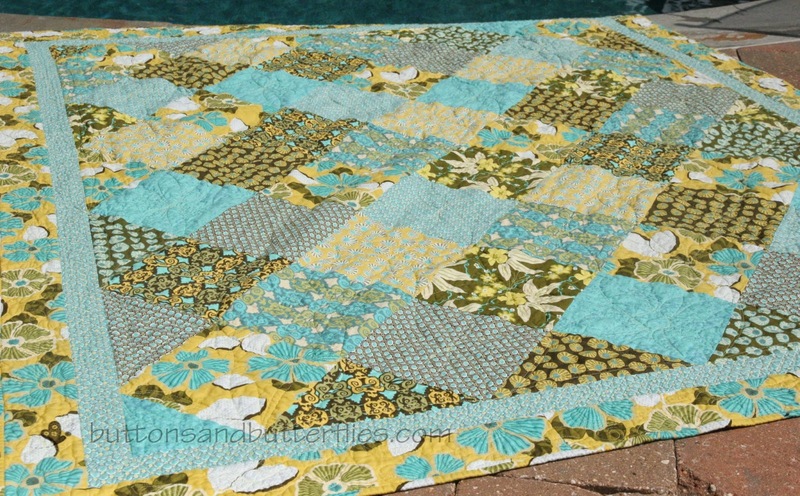 Especially this quilt. Squares on point? Really, Heidi? You can't just figure it out? 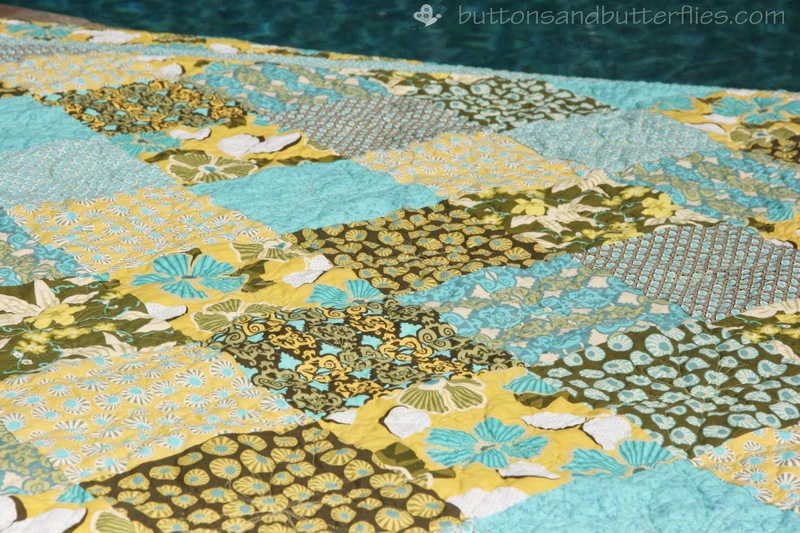 Here is my take on quilt kits. Do you like the pattern? Do you like the fabrics? 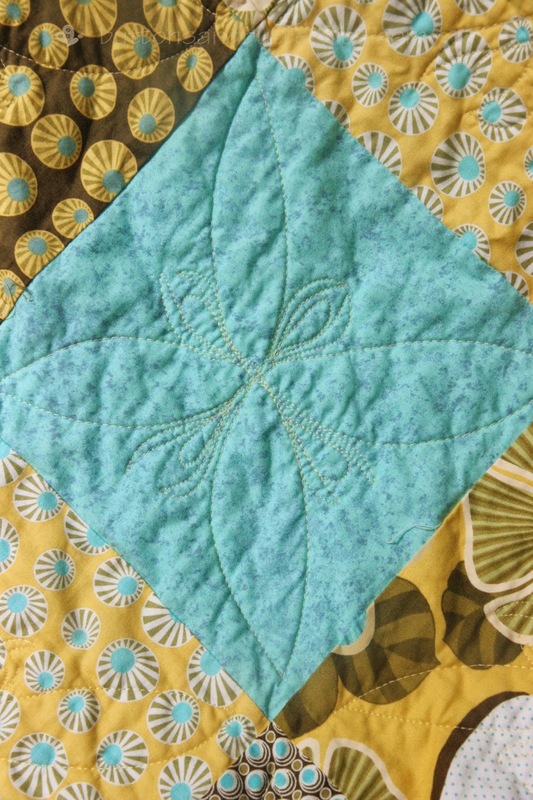 Regardless whether you could create it all by yourself, work out the quilt math, the fact of the matter is time. I bought this quilt two years ago at the Quilt Festival here in Houston. I loved it. My brain said "you can do this by yourself", but I wanted it. Now. So I bought it. I had a bit of regret too. Until I finished it in two days. Yup. Two days. I started cutting it the blocks one evening and had it completely pieced by midnight. I added the borders around noon the next day. 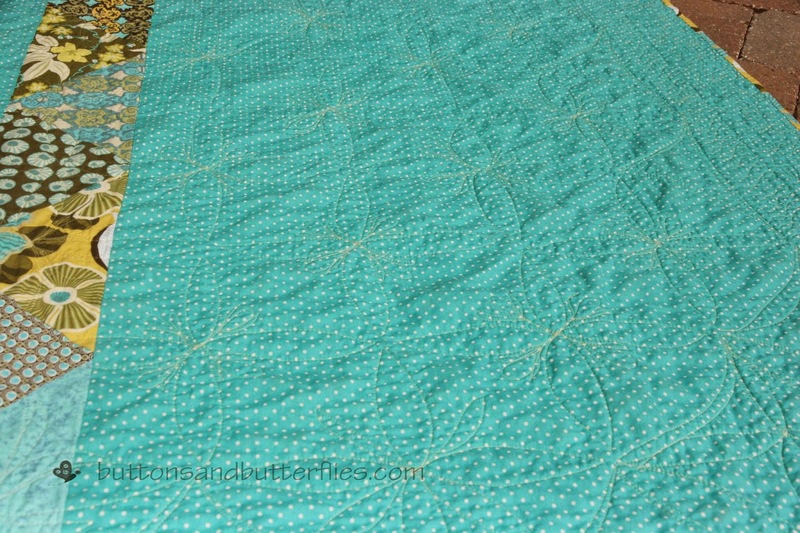 Had it quilted and machine binding on by the end of the evening of the next. Do you love the yellow thread? I just adored it. I was really nervous, but read that it really reads cream. I was going to go with white and I'm so glad I didn't. 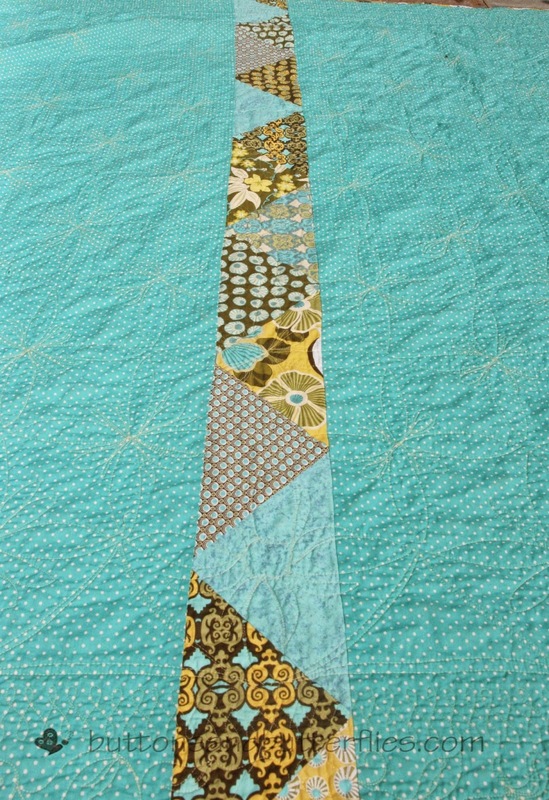 Not totally thrilled with my quilt pattern....but I was about "quick" for this quilt. But the yellow thread on all the different fabrics? Borders were my "go-to" free motion leaves and vines and then f-swirls for the thin blue border. I think the backing went quicker than normal for me too. I had leftover triangles from the corner/sidesettings. Makes for a nice strip in the middle. 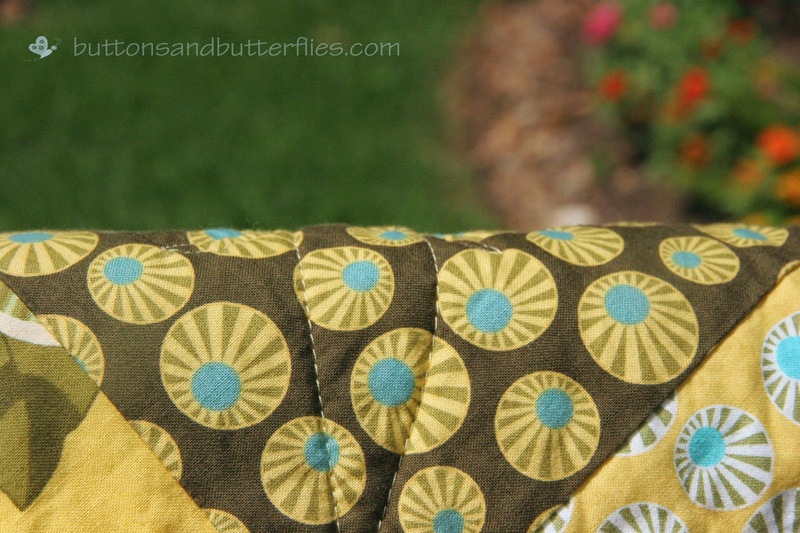 I do have some roque quilted blocks. I was experimenting in the beginning. But they were a bit more time consuming so I decided on the other pattern I had. I was able to finish the quilt early enough to design and stitch out a quilt label on my embroidery machine. So glad I had the extra time. 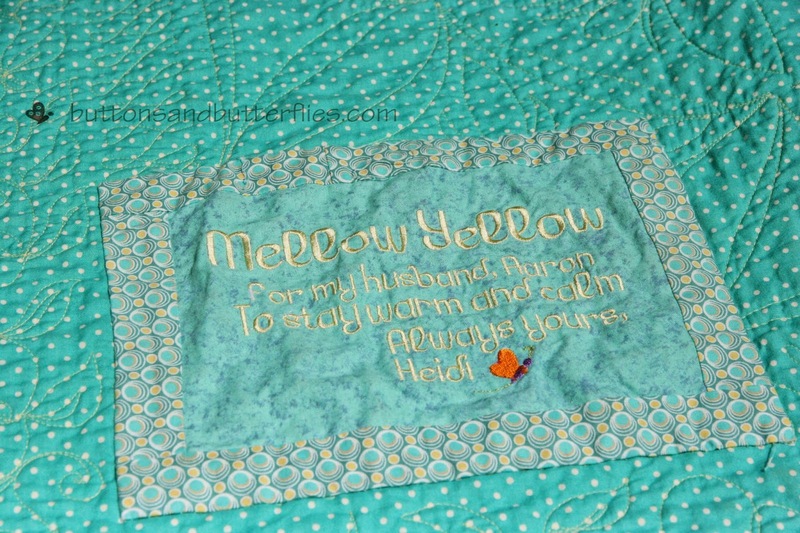 The hand stitching took me a bit longer because I was trying to hide it from him the night he came home. So next time you are in need of fast...go for the kit. You really won't be disappointed. 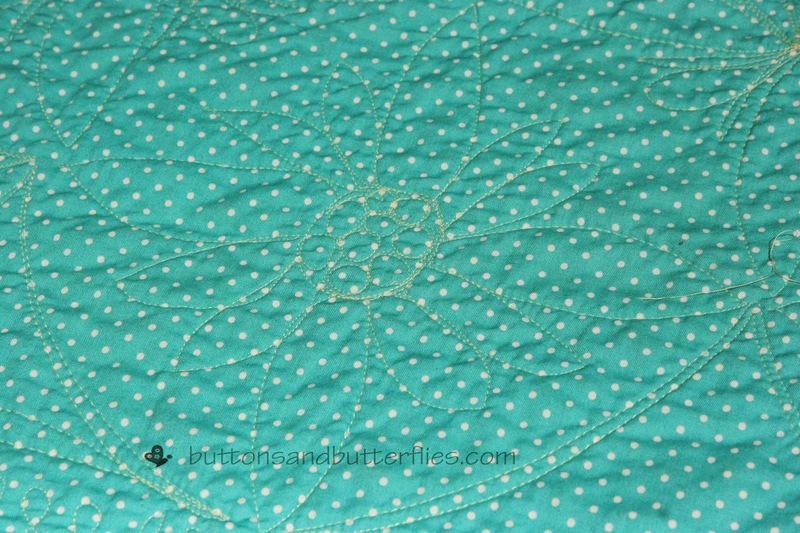 The other part about the quilt is that I didn't have to worry about buying too much or too little. 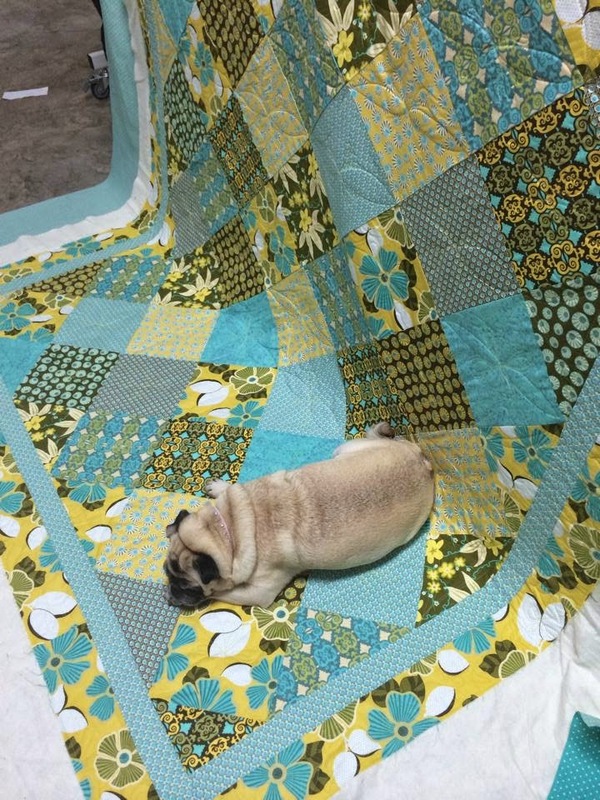 Prancer seemed to love this quilt. She never gets on them, but I found her on it all the time. 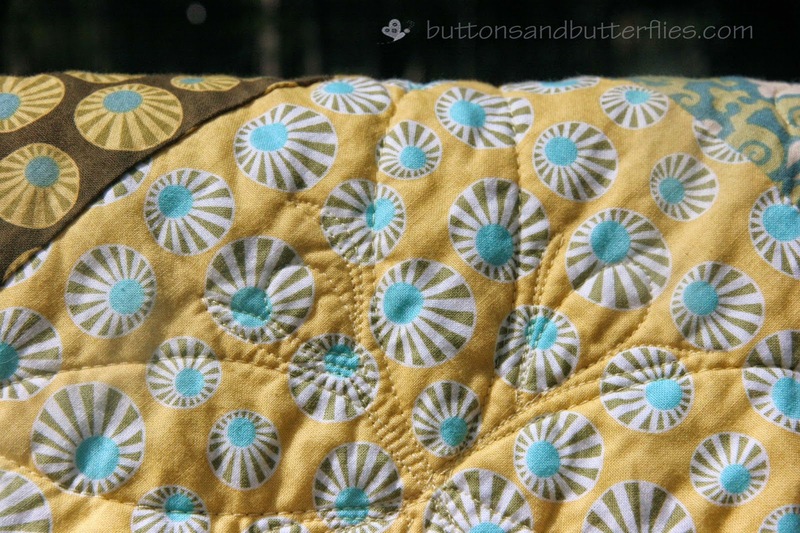 The REAL secret about the quilt that it isn't exactly the quilt I plan on making him. His "real" quilt is in the works. But at least I won't hear anymore whining, right? You have done a beautiful job of this! I don't think there is any shame at all in using a kit - it is a great solution for time-poor quilters (ie busy busy mums!) - at least you know you will have all the right amounts of fabric and that the colour combo is one that you liked enough to buy it in the first place! Good work! I really need to feel less guilty!